Home Unlabelled Listen: @AlOneTheRemedy Connects With Pele Won & @DjFlipFlop For "G.T.F.O." 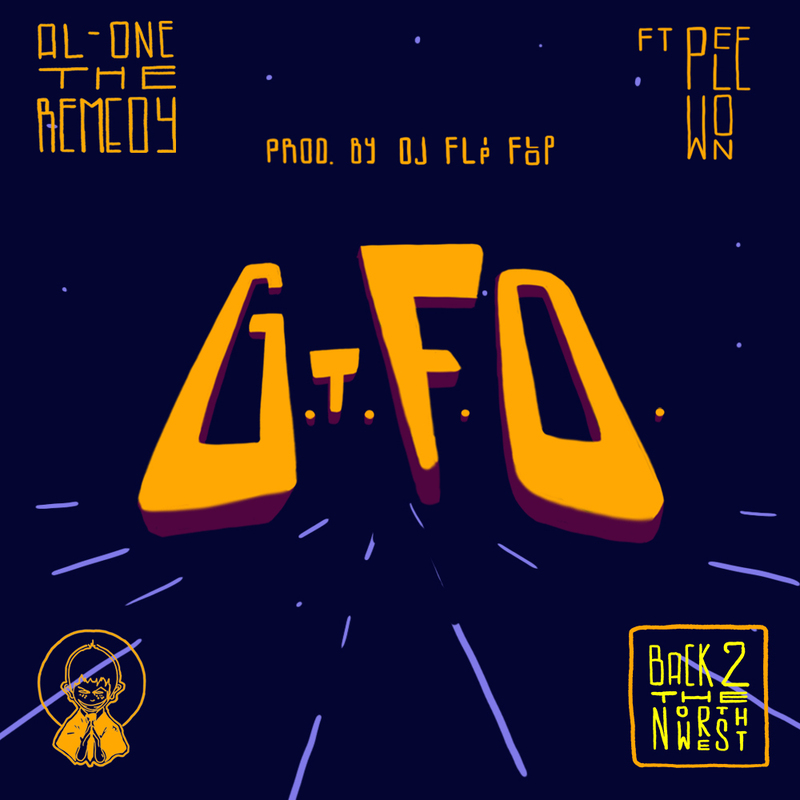 Listen: @AlOneTheRemedy Connects With Pele Won & @DjFlipFlop For "G.T.F.O." Portland hip-hop artist Al-One returns with the second single "G.T.F.O." from his upcoming album Back 2 The Northwest dropping this Valentine's Day 2/14! Connecting with the world famous Cunninlynguists DJ and producer DJ Flip Flop, Al also taps NW veteran Pele Won for a fire guest appearance. Trading bars back and forth over the industrial sounding production, Al and Pele Won complement each other's style perfectly showing natural chemistry from the first verse. Following up his lead single "Unstoppable" featuring Killer Reese of King Fantastic and produced by Hippie Sabotage, the soundscape of Al-One's new project is starting to take form. Led by hard-hitting lyricism, the Portland native and North West rap veteran calls on a diverse crew of collaborators including multiple beats and a feature from Oakland/PDX's TOPE, the R&B sounds of Joyaa Marie and Lovely, plus verses from KP, Phade, Brown Caesar, Big Saages, and many more. Dropping on Valentine's Day, Back 2 The Northwest is a diverse project from beginning to end with replay value that could last well into the summer of 2018. Be sure to stream "G.T.F.O." featuring Pele Won, produced by DJ Flip Flop below as well as last week's release "Unstoppable" and be on the lookout for Back 2 The Northwest dropping Wednesday, February 14th. Also, mark your calendars for Al-One's upcoming appearance on an episode of Welcome To The Neighborhood with DJ Klyph on PDX's X-Ray FM February 10th at 9PM!